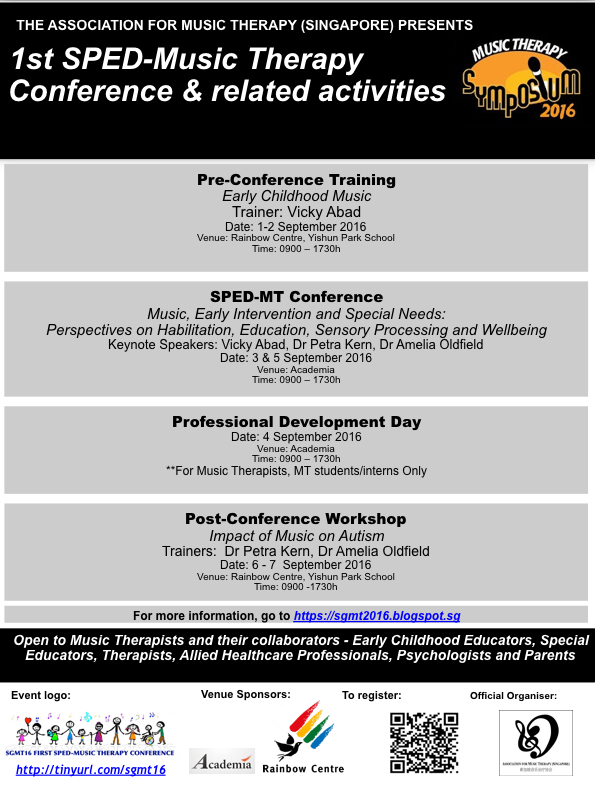 Inaugural SPED Music Therapy Conference in Singapore: Register Today! Come join us for our first SPED-Music Therapy conference! Find out more information about our speakers and the conference today! $300 for each event, up till August 31. On-site $488. $888 for all three events (MT Conference + Two workshops). On-site $1088. $588 for Conference + One workshop. On-site $688. Professional Development Day (Sept 4) -$90. On-site $120. Submit your abstracts by July 31st, 2016!